Soup is a favorite at our house, and we like it even better with bread. Actually, some of our children try to get away with eating just bread. So, naturally, one of our favorite ways to eat soup is in a bread bowl. Of course we had to find a way to make them ourselves, because it’s just better that way. And they weren’t nearly as difficult as I thought they would be. These bread bowls are great. 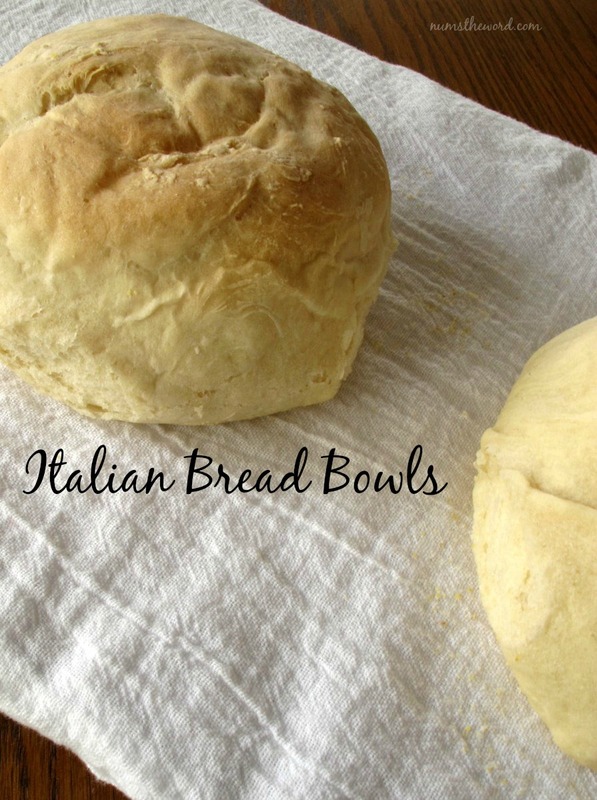 They’re Italian bread made into big bowl to fill with delicious warm soup. Believe me when I say that these are super good and will make your soup more fun to eat. Here’s a couple suggestions for soup to go with your bread bowls: Buffalo Chicken Soup, Ham and Potato Soup , White Lightning Chicken Chili, and Hearty Chicken Chili. In a large bowl (or bowl of stand mixer) dissolve yeast in warm water. Let stand until bubbly, about 10 minutes. Add salt, oil and 4 cups of flour and beat well. With mixer on low, stir in the remaining flour, 1/2 cup at a time until a soft but not sticky dough is formed (you may not need to use all 7 cups). The dough needs to be a bit firmer than other doughs so that the bread bowls will rise up instead of out. When the dough has come together, turn out onto a lightly floured surface and knead until smooth and elastic, about 6 minutes. Place dough in a large lightly oiled bowl. Cover and let rise until doubled, about 40 minutes. Punch dough down and divide into 6-8 equal portions and shape them into round balls. Place loaves on a lightly greased baking sheet sprinkled with cornmeal. Cover and let rise until doubled, about 35 minutes. Bake in a preheated 400 degree oven to 15-18 minutes until golden brown and baked through. 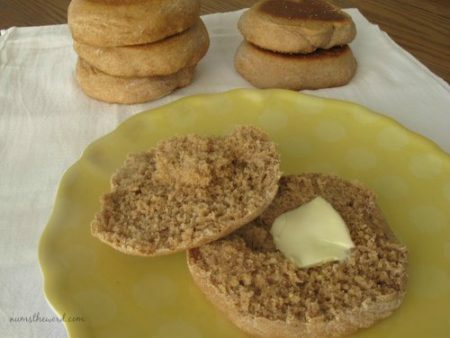 Have you ever made English Muffins? Because you should. They’re fun to make and taste so good when they’re warm! 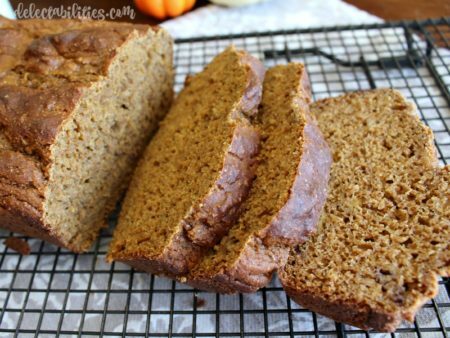 Homemade whole wheat oatmeal bread is packed with flavor and a family favorite! 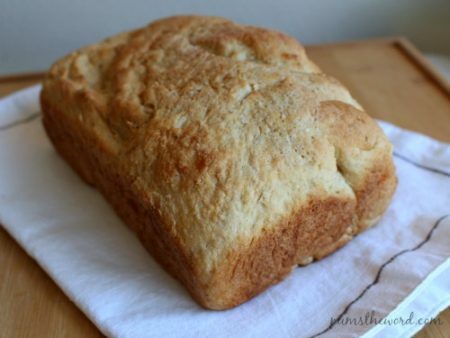 We couldn’t stop eating this oatmeal bread and you wont be able to either! This bread looks delicious. Pinning it. Those are gorgeous! Pinning so I can make these soon!